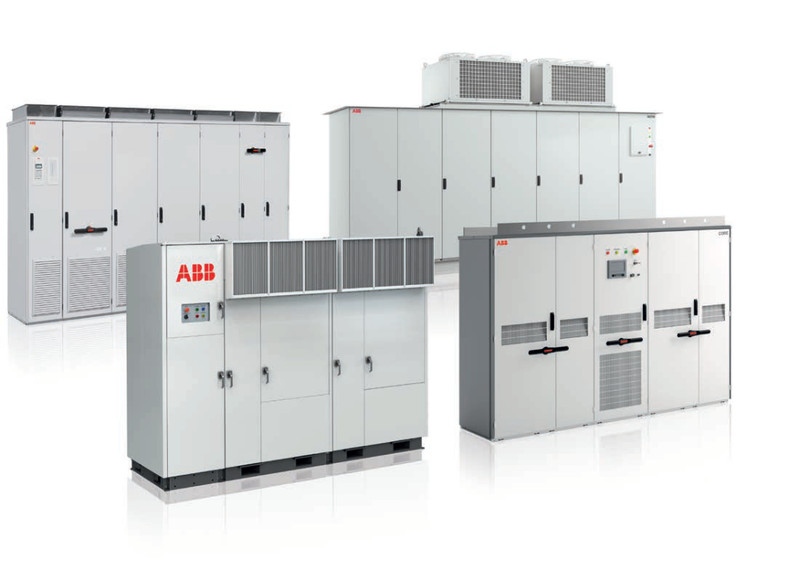 ABB is one of the largest players in the inverter market. The company has a large footprint extending to USA, Asia, Europe, Middle East and Africa. The company offers a wide range of inverter and storage solutions in the solar PV market, suiting the requirements of small residential and commercial systems to large scale multi megawatt power plants. The company is the largest supplier of PV inverters in India with a marketshare of more than 35%. The company has installed more than 25 GW of solar inverters globally. Some of the large ones include 215 MW for a solar plant in California USA, 196 MW in Chile, 125 MW in Mahgenco India etc. Compact design suitable for large scale PV installations. 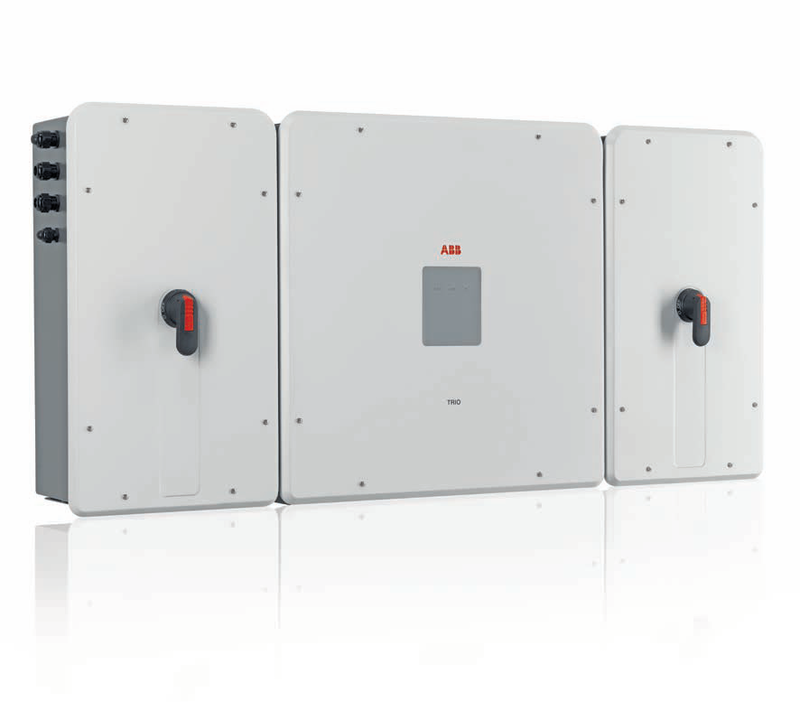 PVS 800 (100-1000 kW) – Best suited for large ground mounted solar power plants, they are also suitable for large-sized power plants installed in commercial or industrial buildings.. ABB’s packaged solutions are available as inverter stations with 1.75-3 MW ratings, MV stations with 1.75-4 MW ratings and megawatt stations with inverters, transformer and switchgear, with nominal ratings from 1 MW to 2 MW. These can also be customized depending upon weather and locations. ULTRA-700.0/1050.0/1400.0/1500.0-TL OUTD (780 to 1560 kW) – The ULTRA series is designed for large installations. The new ULTRA-1500.0 unit is designed for large utility installations, while ULTRA-MVC-S has been specifically developed for large installations that can operate under extreme climatic like desert areas or coastal, salt water environments. CORE-500.0/1000.0-TL (500 to 1000 kW) – designed for fast installation without the aid of any extra accessory, best suited for system integrators (large PV plants) who require maximum output at a reasonable cost. PVS980 (1818 to 2000 kVA) – ideal for large PV power plants can endure high DC input voltage up to 1500 V. Water and dustproof, designed to withstand the toughest environments. Read more reviews about Solar Inverters here. ABB compact skid solution PVS980-CS (2 to 4 MW) – A complete system capable of fast installation, designed for large-scale 1500VDC solar power generation. It comes with central inverter, medium voltage transformer and switchgear equipment. Most suitable for small and medium sized PV power plants, mostly in commercial and industrial establishments. TRIO-50 – These multistring inverters are easy to install. Available in wide input voltage range with dual MPP trackers and built-in protection devices that can be monitored. Today is an inverter more than just a box used to convert electric current. It is turning smarter by each day. It is estimated that the cost of solar+storage will start becoming competitive with the grid prices. ABB monitoring system enables control, monitoring, configuring the status of the solar power plant easily and remotely. ABB has an international footprint, operating in over 100 countries worldwide and technological experience of over 120 years. The company has more than 40 years of experience in inverter and power converter technology. ABB’s offering consists of guarantees with extended warranties, and service contracts with professional support thus enabling rapid availability and response times.